What Is Chronic Fatigue Syndrome, CFS? 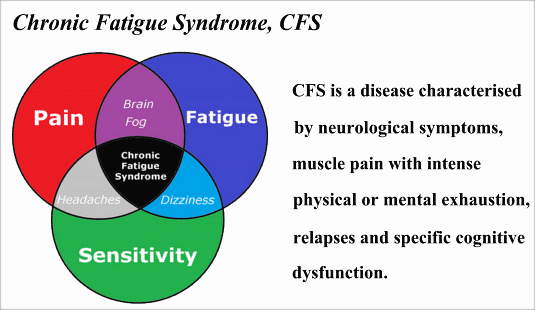 Chronic Fatigue Syndrome (CSF), also known as myalgic encephalomyelitis (ME) was probably first described over 100 years ago when it was given the name 'neurasthenia'. It remains a poorly understood condition that still divides the medical profession as to its causes and treatment although it was discussed in the medical paper The Lancet as far back as 1956. Current research estimates there may be over 100,000 people in the UK suffering from ME. All age groups can be affected although it is unusual in the very young or very old and the peak time of onset is between 17 and 35. It affects all social classes and women are slightly more at risk of developing ME than men. This remains unknown although there may be a genetic susceptibility to developing it, and people with a previous history of depression also appear to be more at risk. Most sufferers report their symptoms beginning after a flu-like illness or other infection (for example tonsillitis, hepatitis) and this suggests a virus may occasionally trigger the symptoms. Glandular fever has also been implicated but in many cases there is no obvious cause and there is a gradual reduction in health over weeks or months. Other reported triggers include sheep dips, vaccinations, major stress and surgical operations but many others are possible. 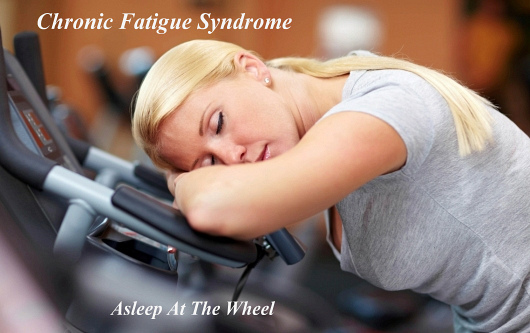 The main over-riding symptom in ME is fatigue. This is severe and overwhelming and, unlike ordinary tiredness, the fatigue comes on 24 to 48 hours after a mental or physical activity has occurred. Other common symptoms are muscle fatigue and twitching, clumsiness and balance disturbances and problems with memory loss and lack of concentration. There may be intolerance to alcohol and a constant feeling of being unwell such as recurring sore throats, high temperatures and swollen glands. Emotional changes are common and include depression (about 25% of ME sufferers will experience this during their illness), frustration and anxiety. Symptoms tend to vary from day to day and are usually worsened with undue physical or mental activity. ME is a diagnosis of exclusion. This means that it is made when all other possibilities have been ruled out and these include thyroid disorders, hepatitis or other infections, multiple sclerosis, coeliac disease and certain rheumatic conditions to name but a few. Helpful tests include the doctor taking a detailed history and full physical examination, followed by routine blood tests looking for any obvious disorders as described above. Subsequent tests can include X-rays and brain scans but these are usually arranged through specialists if considered necessary. It must be remembered there is no actual 'ME test' that proves or disproves the diagnosis and so your doctor will look at the pattern of your symptoms as well as excluding the other possible causes of chronic fatigue. The usual treatment is of reassurance, rest and time for the body to recover by itself along with support from family and friends and a well balanced diet that includes avoiding excess caffeine. Many drugs - both conventional and alternative - have been claimed to be effective in treating ME but there are no good scientific studies that show any of these work. There is, however, good evidence that antidepressant treatment helps a number of sufferers improve quite rapidly, and that a form of rehabilitation called cognitive behavioural therapy helps people to cope mentally and physically with ME. If antidepressants are used, this should initially be at a small dose as people with ME seem to be more susceptible to the side effects of these drugs. 1. Those who recover completely over a period of weeks to months. 2. The majority - those who suffer from repeated episodes of poor health between times of good health. Stress, surgical operations or simple infections such as colds or flu often trigger these relapses. 3. A small number continue to remain constantly unwell, requiring continuous medical support and social help. 4. Should a physical deterioration continue, the diagnosis of ME must be challenged as this is unusual and other medical problems are more likely to be the cause. Although ME can have a highly damaging effect on work and relationships, it must always be remembered that the usual trend is towards improvement rather than deterioration in health. This involves getting the balance right between activity and rest, although during the early stages of the illness bed rest may be advisable. Try to avoid excessive amounts of highly processed food in your diet and increase your intake of fresh fruit and vegetables. There is no evidence that mega-doses of vitamins or anti-candida treatments are of any use, although evening primrose oil has been shown to relieve some symptoms. Some sufferers find patient support groups such as the ME Association very helpful and reassuring - remember that you are not alone in having this problem. 2. What is your worst symptom? 3. Do you feel depressed? 4. Have you suffered from anything like this before? 5. Did your symptoms begin after any particular event or illness? 1. Can I have some blood tests to rule out other illnesses? 2. Do you think I am depressed? 3. How long are my symptoms likely to remain? 4. Will antidepressants help me? 5. What sickness and disability benefits am I entitled to with ME?